As everyone knows, I can't get enough of the Addams Family. 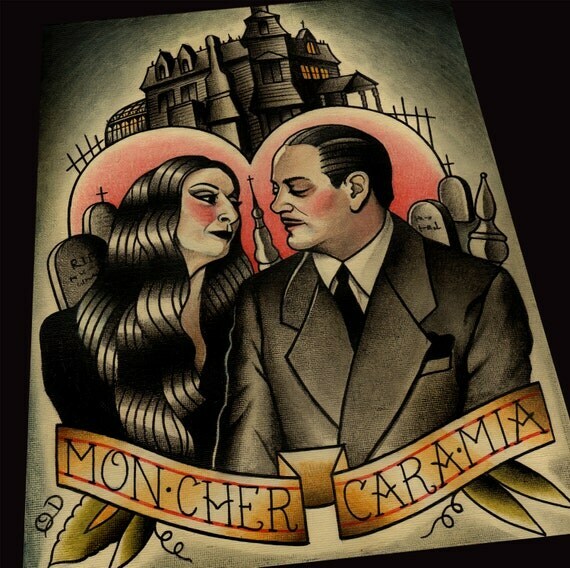 As we get closer to the accursed scourge called Valentine's Day, I begin to think about the epic romance between Morticia and Gomez. Those are some unrealistic romance goals, Meghan. How could you not admire and envy the relationship they have? 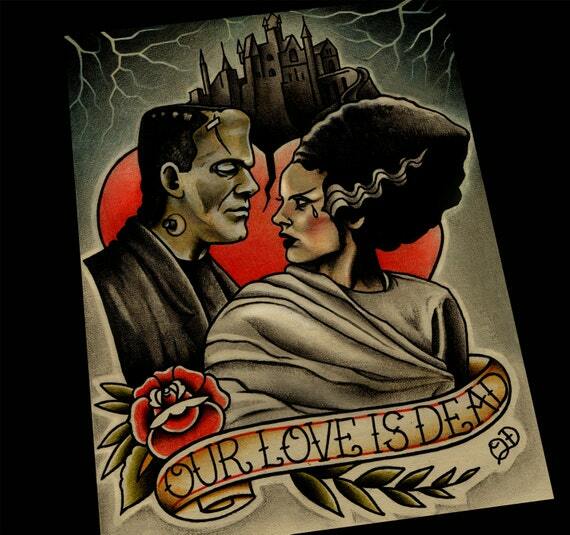 To commemorate the most romantic couple in the history of fiction, I went looking for Addams Family stuff on Etsy and stumbled upon this flawless tattoo flash artwork. 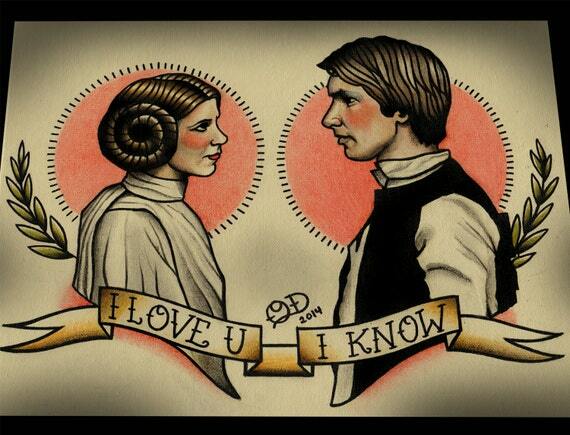 I bring you this fabulous poster by Quyen Dinh, an amazing artist from California. Her tattoo-style prints are to die for. 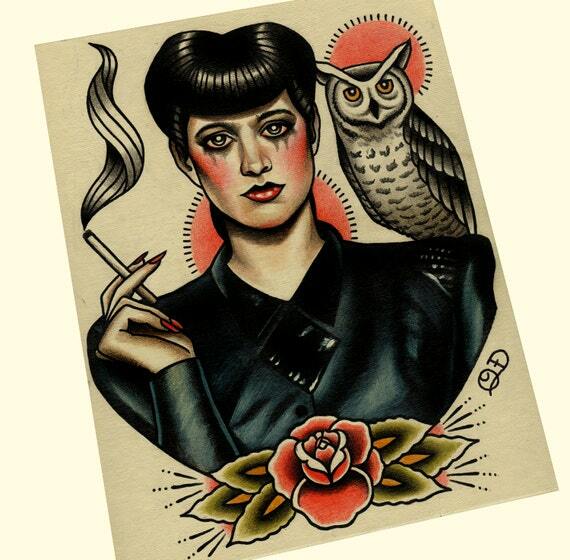 Besides Morticia and Gomez, she’s made wonderful tattoo-style genre prints that include Han and Leia, Blade Runner, Back to the Future, and Twin Peaks. Most of the prints are $32 and 11x14. If you want a smaller size, she offers all her prints in 8x10 for $18 and 5.5x7 for $10. 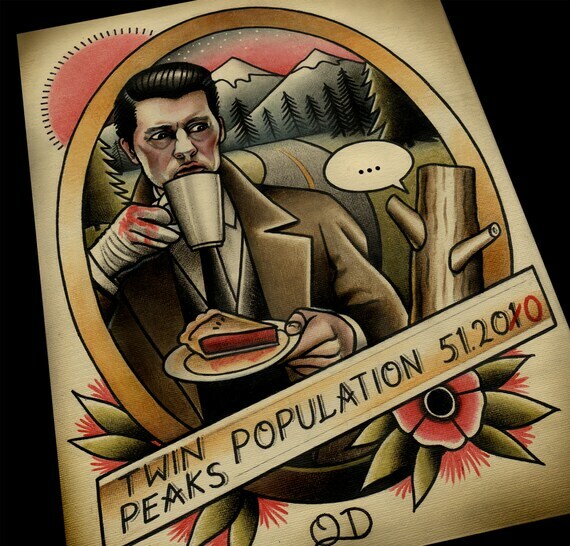 Peak under the cut for more awesome artwork!